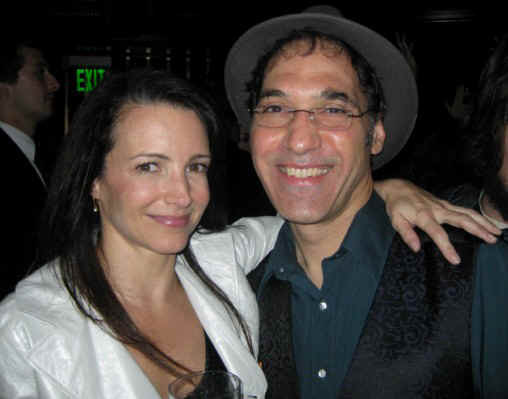 Kristin Davis with Jersey Jim at the wrap party for the movie, "Couples Retreat"
Click the Above choices to see how Jersey Jim will make your next event unforgettably amazing, unbelievably exciting, and, above all, unrelentingly funny! You performed at my wedding reception in Covina...George and I went on a date to celebrate our one year anniversary and who did we see?? It was you in the movie Couples Retreat. We are two people who believe in signs and man was this one for us. I wanted to official say thank you for adding just enough spice to our special night. 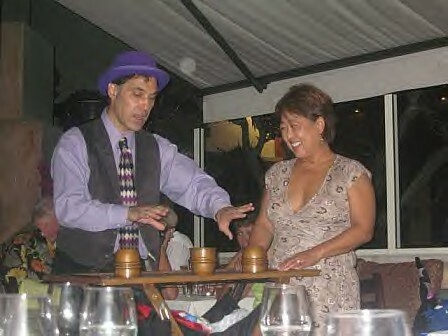 You didn’t take any attention away from us but at the same time added enough entertainment to impress our guests. Our guests were talking about you months after and thought it was an awesome idea to have you there. If we were ever asked to recommend you for any party/ event it would be a definite yes. "...My 50 guests really had a great time. Quick witted, great timing on jokes. Thank you very much for (a) great show. Most important, my wife had a great time." "We had Jersey Jim perform for my wife's 50th birthday party, and he was absolutely fantastic! 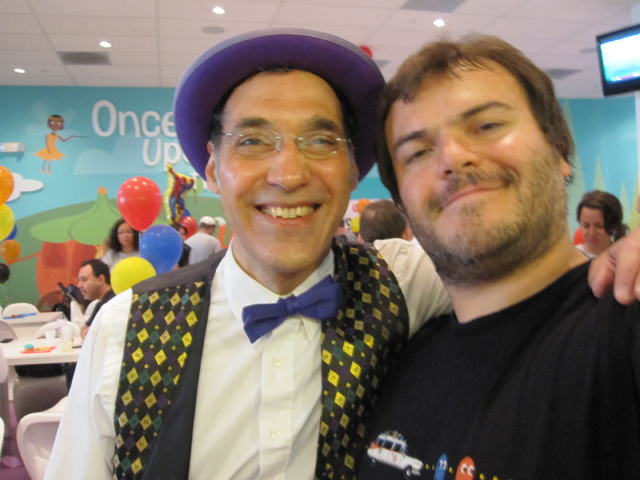 His show was so magical and funny that so many of our guests commented later that he made the party feel so much more special than many of the other parties they have attended. His magical style of spontaneously involving and interacting with our guests was hilarious and together with with his amazing magic tricks clearly showed Jersey Jim's experience as a performer. 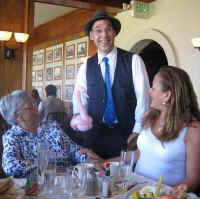 We saw him perform at the Magic Castle in Hollywood and were impressed by his website which showed he has performed for many celebrities and their families. If you want to book an entertainer for your next party or any kind of an event, we cannot recommend Jersey Jim highly enough." 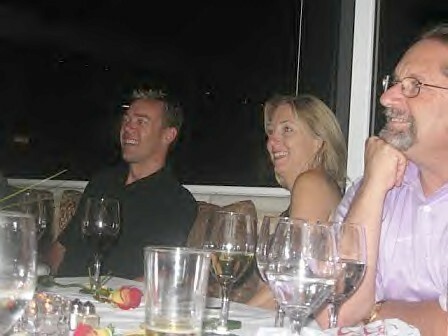 "Jim, truly appreciated your personal touch for our Christmas party. Your performance turned our party into an outstanding event." 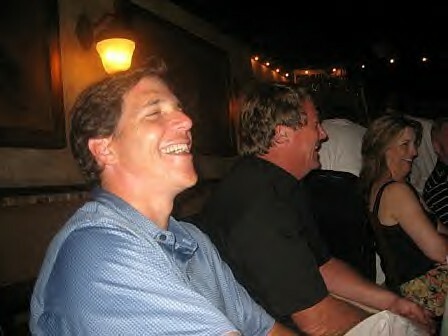 --Steve Dale, CEO Plushland Inc.
"Everyone enjoyed it! 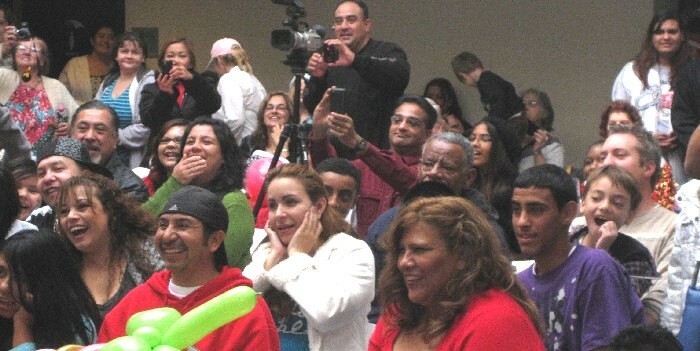 I have never seen a group of 4 to 13 year olds (and their parents) sit through a performance like this with no one moving. They were completely absorbed. We look forward to having you back! Thank you!" --Nikki Biers, The Best Gift Adoptions, Inc.
Jim, thanks for the great job at the Los Angeles launch of our new Ford Fusion sedan. We will be calling you again. "I really enjoyed that your show involved people of all ages. You were friendly and funny. We all appreciated your professionalism!" "Jersey Jim will have you laughing one moment and spellbound the next. He's unforgettable, unbelievable, and unrelentingly funny! I would hire him anytime again." "Dear Jim, just wanted to...say how delighted everyone was with your show at our daughter's Christening. Having 70 adults and 25 kids at a party it was a challenge how to keep them entertained. You did a fabulous job holding everyone's interest and putting a smile on everyone's face. I received many compliments on the great job I did getting such awesome entertainment! So I guess I congratulate myself on the immense luck I had in finding you! Thank you again!" "Dear Jim, thank you so much...you were such a huge hit at the "Big Boo" (Halloween Fair) this year. We really do hope you keep us in mind for next year!" 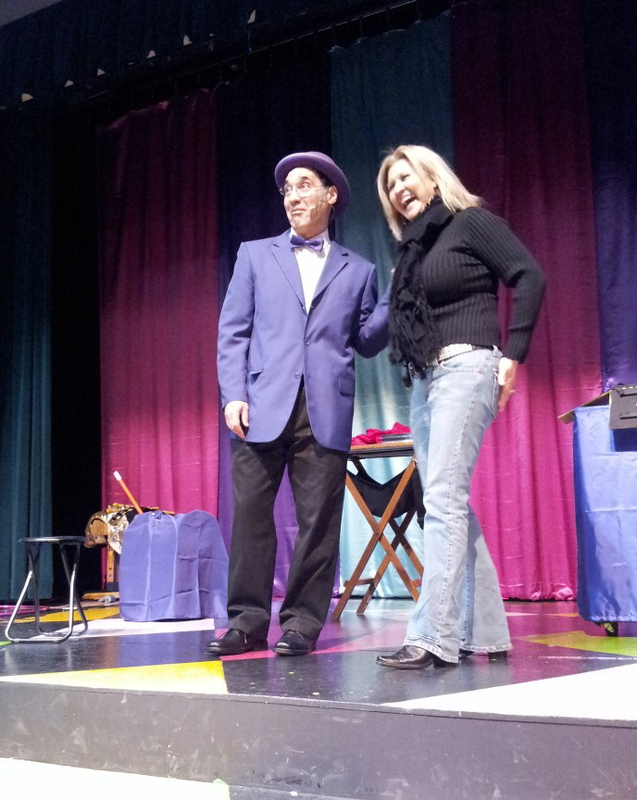 "It was awesome the way you used audience participation in the show (especially my mom!) It was wonderful how you blended comedy both for the adults and the children. Everyone had a blast!!" --who did they all call? Jersey Jim! Call Now For The Fun Details. Book Early Because Jersey Jim is Popular! 100% Guarantee: Your Expectations are Exceeded or You Don't Pay!